The Indiana State Library in Indianapolis will hold a free program, "Grandpa Was A Soldier: Federal Documents As Biographical Sources," on Tuesday, October 26 from noon to 1 pm in the library's Indiana Author's Room. You'll learn about the types of documents available if your ancestor worked for the federal government (whether in the military or as a civilian), and what sort of information you can find about them. No registration is required - for more information, visit www.in.gov/library/events.htm or call (317) 232-3675. The Indiana Genealogical Society has 404 databases in the Members Only area, covering 86 Indiana counties. More databases will be added over time. The Allen County Public Library in Fort Wayne will hold a 3-day program, "Start Sharing The News! A Celebration of Collaboration" on Friday, October 29 through Sunday, October 31. On Friday, October 29 From 5:30 to 8 pm at the historical Baker Street Train Station, there will be a welcoming dinner, and then Curt Witcher will present a program, "How The Genealogy Center in Fort Wayne Became A National Tourist Attraction." Dinner attendees will also be able to attend the library's Midnight Madness extended research hours. On Saturday, October 30 from 9 am to 5 pm in the library's Meeting Room AB, there will be several programs offered, including how to use Flickr, WeRelate.org, Facebook, etc. to share your genealogy data. On Saturday, October 31 from 9:45 to 11:45 am, attendees will meet at Lindenwood Cemetery in Fort Wayne for a guided tour of this historic cemetery, one of the oldest in Fort Wayne. The cost for all 3 days is $25. Visit http://www.acpl.lib.in.us/genealogy/programs.html for the brochure and registration information. The Allen County Genealogical Society of Indiana's Computer Interest Group will meet on Wednesday, October 20 at 7 pm in Meeting Room B of the Allen County Public Library in Fort Wayne. The public is welcome. The Indiana Genealogical Society has 403 databases in the Members Only area, covering 86 Indiana counties. More databases will be added over time. The Allen County Public Library in Fort Wayne will hold a program, "Jumping-Off Points: Getting The Most You Can From A Single Record," on Sunday, October 24 from 1 to 2 pm in the library's Meeting Room A. Dawne Slater-Putt will teach you how to examine a record for every possible clue to additional information. Registration is required - to register, phone (260) 421-1225. The Indiana State Library will hold a free program, "Genealogy Internet Links," on Wednesday, October 6 from 11 am to noon in the library's History Reference Room. You'll explore how to use the Internet links on the Indiana State Library's website, enabling you to access valuable genealogy information with the click of a mouse. The Indiana Genealogical Society has 402 databases in the Members Only area, covering 86 Indiana counties. More databases will be added over time. The Allen County Public Library in Fort Wayne will hold a program, "Create A Family Website," on Saturday, October 23 from 2 to 4 pm in the library's theater. Genealogy Center staff will show you how to build an online presence for your family history. Registration is required - to register, phone (260) 421-1225. The Indiana State Library in Indianapolis will hold a free program, "Newspapers in Genealogy," on Monday, October 18 from noon to 1 pm in the library's History Reference Room. The program will discuss the tips and tricks for getting the most out of the library's collection of Indiana newspapers in your genealogy research. No registration is required - for more information, visit www.in.gov/library/events.htm or call (317) 232-3675. The Indiana Genealogical Society has 400 databases in the Members Only area, covering 86 Indiana counties. More databases will be added over time. The Allen County Public Library in Fort Wayne will hold a program, "Basics of Adobe Elements Workshop," on Friday, October 22 from 9 am to 4 pm in the library's computer classroom. Kay Spears will teach you the basics of Adobe Elements software, to use in the latter part of the workshop for some hands-on editing of your own family photos (please bring your photos with you on a flash drive). Registration is required - to register, phone (260) 421-1225. The Allen County Public Library in Fort Wayne will hold a program, "Voyages At Your Fingertips: Online Immigration Records," on Thursday, October 21 from 10 to 11 am in the library's Meeting Room A. Melissa Shimkus will discuss what immigration records are available online and compare sites such as EllisIsland.org, Ancestry.com and SteveMorse.org. Call (260) 421-1225 to register. The Indiana State Library will hold a free program, "Researching Family History, Part 1," on Tuesday, October 5 from 11 am to noon in the library's History Reference Room. You'll get an introduction to the beginning elements of doing genealogy research, and an overview of the basic documents and resources that are used in tracing your family tree. The Indiana Genealogical Society has 399 databases in the Members Only area, covering 86 Indiana counties. More databases will be added over time. The Indiana State Library in Indianapolis will hold a free program, "Genealogy Microform Collection," on Tuesday, October 12 from 10:30 to 11:30 am in the library's History Reference Room. The program will discuss the many microfilms and microfiche in the library's Genealogy Collection and how they can enhance your research. No registration is required - for more information, visit www.in.gov/library/events.htm or call (317) 232-3675. --Veterans in Martin County, Indiana (1913)--a listing of all of the veterans who were living in Martin County as of May 1, 1913, from an annual enumeration taken by township trustees. The Indiana Genealogical Society has 398 databases in the Members Only area, covering 86 Indiana counties. More databases will be added over time. The Indiana State Library will hold a free program, "If These Walls Could Talk: Discovering Your House History," on Monday, October 4 from 11 am to noon in the library's Indiana Author's Room. The program will highlight some resources to help you find the history of your home and unlock possible hidden treasures. The Indiana Genealogical Society has 397 databases in the Members Only area, covering 85 Indiana counties. More databases will be added over time. The Northwest Indiana Genealogical Society will meet on Saturday, October 16 from 9:30 am to 1 pm at the Porter County Public Library in Valparaiso. The business meeting will begin at 9:30 am, with David Clark presenting a session at 10 am on "Bringing Family History To Life." Marlene Polster will also present a session on "Family History Writing and Publishing." The public is welcome. The Allen County Public Library in Fort Wayne will hold a program, "Exploring FamilySearch.org," on Monday, October 18 from 2 to 3 pm in the library's Meeting Room A. Dawne Slater-Putt will discuss the various aspects to the FamilySearch website, including the library's catalog and their searchable records offered. Call (260) 421-1225 to register. The Allen County Public Library in Fort Wayne will hold a program, "Scrapbooking Historical Photographs and Memorabilia," on Saturday, October 16 from 10 to 11 am in the library's Meeting Room AB. Dawne Slater-Putt will discuss how to include your historical photos and other memorabilia in a scrapbook. Registration is required - to register, phone (260) 421-1225. Mary Davis (marydavis809@windstream.net) is seeking information/whereabouts about 1 of 4 sons of an Indianapolis woman. Jennie Lee King [pictured at left] was born December 12, 1918 in Louisville, Kentucky, the oldest of 5 children of Walter King and Lillian Barbara Winkler. In 1937 she graduated from Arsenal Technical High School in Indianapolis. Jennie became pregnant and gave birth to son Michael James King (born 1938) – at the request of Jennie’s mother, he was cared for at St. Elizabeth’s Home until January 1939. Jennie’s mother died in March 1943, then Jennie was hospitalized with spinal meningitis and was forced to place her son with a foster family named Hagerty in Kirklin, Clinton County, Indiana in November 1943. He was never placed for adoption but was turned over to the care of Catholic Charities. In 1956, Jennie gave birth to a third son, Robert Lee King (or Patrick King) in Indianapolis. He was raised by an adoptive family. Jennie later married William Lower and had a fourth son, Norman Lower. Jennie Lower died in July 1967 from injuries sustained in a car accident and was buried in Washington Park East Cemetery in Indianapolis. In 2008 Jennie’s 3 sons met for the first time. They would very much like to find their brother. If anyone has any information on Jennie’s second son, please get in touch with Mary Davis at the address above. The Indiana State Library in Indianapolis will hold a free program, "U.S. Census Questionnaires 1870 to 2010," on Thursday, October 7 from 5:30 to 6:30 pm in the library's Indiana Author's Room. The program will show how the questions asked in the census has changed over the years, and how to develop your own queries while viewing original census questionnaires. No registration is required - for more information, visit www.in.gov/library/events.htm or call (317) 232-3675. The Merrillville Ross Township Historical Society is selling color reproductions of the 1874 plat map of Lake County that was done by Hardesty. In addition to showing who owned a piece of land, the map also has the history of Lake County, along with some interesting facts from the time period. --A particular township in the county (measuring 11 x 17 inches). The cost for each township is $5 + shipping & handling for non-members. --A map book covering the whole county (measuring 11 x 17 inches). The book is 18 pages on cover stock, combbound, no index. The cost is $50 + shipping & handling for non-members. --A full-size map of the whole county (measuring 34 x 56 3/4 inches). It is printed on 42 inch wide vinyl. The cost is $150 plus shipping & handling for non-members. The Indiana Genealogical Society has 396 databases in the Members Only area, covering 84 Indiana counties. More databases will be added over time. The Allen County Public Library in Fort Wayne will hold a program, "Using PERSI (Periodical Source Index)," on Sunday, October 17 from 1 to 2 pm in the library's Meeting Room A. Delia Bourne will give tips and tricks for using PERSI, which is the best index to genealogy and local history periodicals. Call (260) 421-1225 to register. The Hamilton East Public Library in Noblesville will hold an all-day event, "Digging In The Cemeteries," on Saturday, October 16 beginning at 9:30 am in the library's north meeting room. In the morning session, you'll learn about different types of cemeteries, what records are available, what the symbols on graves mean, and how they can lead you to more information. There will be a break at 12:30 pm for lunch (on your own), and then at 2 pm there will be a tour of Crownland Cemetery. The Allen County Public Library in Fort Wayne will hold a program, "Writing Your Family History: A Primer," on Thursday, October 14 from 10 to 11:30 am in the library's Meeting Room A. John Beatty will talk about various forms of genealogical writing and how to produce a book or article of lasting quality (genealogy software will not be discussed). Registration is required - to register, phone (260) 421-1225. The Northwest Indiana Genealogical Society (which represents Lake County and Porter County) has updated their Gary Screw & Bolt Company List of Employees database - it now includes surnames beginning with A through L.
Save the date! The National Genealogical Society will hold their 2012 Family History Conference at the Duke Energy Convention Center in Cincinnati on May 9-12, 2012. The Ohio Genealogical Society and the Hamilton County Chapter of OGS will be the local co-hosts. The Allen County Public Library in Fort Wayne will hold a program, "Basics of Scanning Photographs," on Friday, October 15 from 2 to 3 pm in the library's Meeting Room C. Kay Spears will discuss the basics of organizing, scanning and digitally storing your family photos, plus give suggestions on equipment. Call (260) 421-1225 to register. The Northwest Indiana Genealogical Society has an online index in progress of the Chicago Title and Trust Company's title abstracts for Lake County. An abstract of a legal title is a document that confirms that a person or business actually owns a property, and a company that searches and records such title deeds is known as a title company. Besides finding deeds, title companies also find information on pending litigations, back taxes, first and second mortgages, debt, mechanical liens, and, in some cases, personal property information. Although these title abstracts were recorded around the turn of the 20th century, the information contained in them may go back to land purchases made in the 1830’s, when Lake County was formed. This project is a cooperative effort with the Calumet Regional Archives, which houses the 2,000 volumes in this collection of title abstracts. --Veterans in Starke County, Indiana (1913)--a listing of all of the veterans who were living in Starke County as of May 1, 1913, from an annual enumeration taken by township trustees. The Indiana Genealogical Society has 393 databases in the Members Only area, covering 84 Indiana counties. More databases will be added over time. ‎2011 marks the 150th anniversary of the beginning of the Civil War. Honor your Civil War ancestors by applying for membership in the Indiana Genealogical Society's lineage society, the Society of Civil War Families of Indiana. The deadline to apply is December 31, 2010; members will be inducted in a special ceremony during the Indiana Genealogical Society conference in April 2011 in Indianapolis. The Hamilton East Public Library in Noblesville will hold a genealogy roundtable on Tuesday, October 12 from 2:15 to 3:15 pm in the library's genealogy classroom. This month's roundtable will focus on "Collateral Line Research." Participants will share their experiences and success stories in researching collateral lines in order to find information on their direct ancestors. This is an informal discussion group - no registration is required. The Allen County Public Library in Fort Wayne will hold a program, "Reunions and Research," on Monday, October 11 from 2 to 3 pm in the library's Meeting Room A. Delia Bourne will show you how to take advantage of family reunions to gather, record and disseminate information. Call (260) 421-1225 to register. The Allen County Public Library in Fort Wayne will hold a program, "Preserving Family History," on Sunday, October 10 from 1 to 2 pm in the library's Meeting Room A. Rebecca Schipper will discuss how you can care for and store your family documents, photos, books and textiles. Call (260) 421-1225 to register. The Indiana Genealogical Society reminds genealogical and historical groups that are looking for funding for their projects that they can apply for one of the Indiana Genealogical Society's $500 grants. The application deadline is December 31, 2010, with recipients to be announced at the IGS conference in Indianapolis in April 2011. The Indiana Genealogical Society has 392 databases in the Members Only area, covering 83 Indiana counties. More databases will be added over time. The Allen County Genealogical Society of Indiana will meet on Wednesday, October 13 at 6:30 pm in Meeting Room A of the Allen County Public Library in Fort Wayne. Dani Tippman will give a program, "Native American Genealogical Research." The public is welcome. The Indiana State Library in Indianapolis will hold their 2nd annual Indiana Genealogy & Local History Fair on Saturday, October 23 from 9 am to 3:30 pm. The event is free and open to the public. Genealogy and local history organizations, as well as libraries, will have tables, and there will be free sessions offered throughout the day, including Indiana land records and public access to records. The Indiana Genealogical Society is seeking a volunteer to edit and compile the submissions to our Always A Hoosier project, which records information on people born before 1930 who were buried in Indiana. If you are interested in helping, or would like more information, please contact Shirley Richison Fields - richison@me.com. The Indiana Genealogical Society has 391 databases in the Members Only area, covering 83 Indiana counties. More databases will be added over time. The Indiana Genealogical Society has been awarded a $750 grant from the Hendricks County Community Foundation for the society’s project to preserve Hendricks County probate records. These court records date back to the county’s founding in 1824 and contain fascinating details about the lives of early settlers. Project volunteers are taking digital photos of these fragile records and putting them online for the public to access – there are over 200 records online so far. The grant will enable the Indiana Genealogical Society to purchase an additional digital camera so more of the records can go online. The Hendricks County Community Foundation has been working to improve the quality of life in our community since 1996. It manages a $7 million collection of funds that are created by individuals, families, businesses and organizations for charitable purposes. 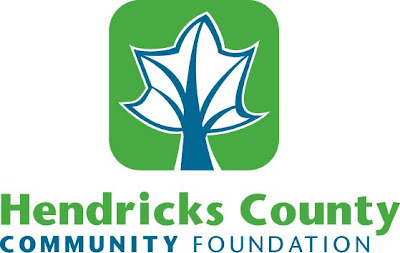 In 2009, the Hendricks County Community Foundation awarded over $320,000 in grants to local organizations and causes and scholarships to local students. The Indiana Genealogical Society thanks the Allen County Genealogical Society of Indiana for their generosity - they have donated $1,000 to our War of 1812 $10,000 Matching Challenge! The Tri-County Genealogical Society and the Batesville Memorial Public Library are co-sponsoring a Family Research Day at the Batesville library on Friday, October 1 from 9 am to 9 pm. Stop by for sessions on German research and locating graves, as well as how to break down brick walls in research and join the Daughters of the American Revolution. The Allen County Public Library in Fort Wayne will hold a program, "Daughters of the American Revolution Research Assistance For Membership," on Wednesday, October 6 from 10 am to 4 pm in the library's Genealogy Center. Members of the DAR will be on hand to provide assistance to anyone wanting to prove their Revolutionary War ancestor for DAR membership. Call (260) 421-1225 to register. --Autographs of Students of Valparaiso University, Valparaiso (1909) - entries from a 1909 autograph album belonging to Miss Lula Waits. This database includes digital images of the autographs, as well as transcriptions. This is a premium database, accessible only to IGS members. The Indiana Genealogical Society has 388 databases in the Members Only area, covering 83 Indiana counties. More databases will be added over time. The Allen County Public Library in Fort Wayne will hold a program, "How To Use The Genealogy Center: Basics," on Thursday, October 7 from 10 to 11 am in the library's Meeting Room A. Becky Carden will explain how to use the library's genealogy collection, including the microtext and library catalog. Call (260) 421-1225 to register. The Society of Indiana Archivists will hold their Fall Workshop on Friday, October 8 from 10 am to 4 pm at the Allen County Public Library in Fort Wayne. The theme of the workshop is "Celebrate Archives Month – Civil War Outreach and More," with the focus on how libraries and archives can use Civil War materials—including photographs, manuscripts, and material objects—to promote American Archives Month. The workshop will include a tour of the library's Genealogy Center by Curt Witcher, and a tour of the Lincoln Collection by Jane Gastineau. Registration is $30 for SIA members, $40 for non-members. Visit http://www.inarchivists.org/news/2010/2010-09-01_Fall2010Workshop.html to register, or for more information. The Tri-State Genealogical Society is sponsoring a free workshop on Saturday, September 18 from 9 am to 4 pm at Willard Library in Evansville. Terry Prall will be the featured speaker, with sessions on online resources, city directories and researching collateral ancestors. The Genealogy & Local History Department of the Kokomo-Howard County Public Library will close on Wednesday, September 22 in order to begin its move back to the newly-renovated building. The department has been at a temporary location (4053 S. Webster St.) for the past year while the construction project was underway. The department will remain closed until its grand opening sometime in mid-October. The Northwest Indiana Genealogical Society will meet on Saturday, September 18 at 10 am at the Dyer-Schererville branch of the Lake County Public Library. Ginger Frere will present a program, "Researching Your Catholic Ancestors: Using the Records of the Archdiocese of Chicago." The public is welcome. The Genealogy Center of the Allen County Public Library in Fort Wayne will have extended research hours on Friday, October 29 from 6 pm to midnight. Attendees must be in the library before it closes to the public at 6 pm. Registration is required - to register, phone (260) 421-1225. The Indianapolis-Marion County Public Library has added a collection of Shortridge High School yearbooks covering 1898-1968 to the Digital Collections available on its website. Shortridge High School in Indianapolis is the oldest free public high school in Indiana. These yearbooks include student photos of some of its famous alumni, such as Kurt Vonnegut, Jr. and Senator Richard Lugar. --Directory of Businesses in La Porte County, Indiana (1868) - a listing of business owners in various towns in La Porte County, as found in a railroad and shipping directory for the state. NOTE: This database was submitted as part of the 2 for 92 Project, where IGS is committed to adding at least 2 databases for each of Indiana's 92 counties. This is a premium database, accessible only to IGS members. The Indiana Genealogical Society has 387 databases in the Members Only area, covering 83 Indiana counties. More databases will be added over time. The Allen County Public Library in Fort Wayne will offer 30-minute personal research consultations with a member of their Genealogy Center staff from 2 to 4 pm on Tuesdays in October (October 5, 12, 19 & 26). Space is limited and pre-registration is required - call (260) 421-1225 or e-mail genealogy@acpl.info to make your appointment and provide some information about your research question. --Tax List of Brown County, Indiana (1890) - a listing compiled from tax duplicates books. NOTE: This database was submitted by Rhonda A. Dunn of the Brown County Historical Society as part of the 2 for 92 Project, where IGS is committed to adding at least 2 databases for each of Indiana's 92 counties. This is a premium database, accessible only to IGS members. The Indiana Genealogical Society has 386 databases in the Members Only area, covering 82 Indiana counties. More databases will be added over time. The Allen County Public Library in Fort Wayne will hold a program, "Roots of Our Ancestors: Land Records," on Monday, October 4 from 2 to 3 pm in the library's Meeting Room A. Melissa Shimkus will give an introduction to land records, which are an underutilized resource. Learn about the content of the records as well as how land was surveyed and acquired by our ancestors. Registration is required - call (260) 421-1225 to register. The Indiana Genealogical Society has updated the database Individuals Associated with Indiana’s African-American Settlements (1817-1930) in the African-American Records section of Members-Only. There are now over 11,000 entries in the database. The Indiana Genealogical Society has 385 databases in the Members Only area, covering 82 Indiana counties. More databases will be added over time. The Allen County Public Library in Fort Wayne will hold a program, "Using Footnote.com," on Friday, October 1 from 10 am to 11 am in the library's computer classroom. Cynthia Theusch will demonstrate how to search and browse the collections in this database, then participants will be able to perform their own searches with assistance (bring a flash drive if you want to save any of the records you find). Registration is required - call (260) 421-1225 to register. In honor of the bicentennial of the War of 1812 (occurring in 2012) and the bicentennial of Indiana statehood (occurring in 2016), the Indiana Genealogical Society is launching a new lineage society, the Territorial Guard Society of Indiana. This society will honor those who can prove they are direct descendants of someone who lived in the present-day boundaries of Indiana before it officially became a state in December 1816. Application forms are now available on our website - applications will be accepted beginning January 1, 2011, with the inaugural members to be inducted in a ceremony at the 2012 IGS conference. --Faculty of Manchester College, North Manchester (1928) - a listing of the teachers, as found in a 1928 yearbook. --Graduates of Canterbury College, Danville (1950) - a listing of the graduates, as found in a 1950 newspaper. --Graduates of Earlham College, Richmond (1862-1939) - a listing of the graduates for the years 1862 through 1939, as found in a 1940 bulletin. --Students of Manchester College, North Manchester (1928) - a listing of the students from the class of 1928 and the class of 1929, as found in a 1928 yearbook. --Directory of Businesses in White County, Indiana (1868) - a listing of business owners in various towns in White County, as found in a railroad and shipping directory for the state. --Veterans at Indiana State Soldiers Home, Lafayette, Indiana (1906) - a listing of the veterans (as well as their wives or widows) who were residents in 1906, as found in an annual report. --Children at Indiana Soldiers' and Sailors' Orphans' Home, Knightstown, Indiana (1922) - a listing of the children of Indiana veterans who were living in the orphans home in 1922, as found in an annual report. These are all premium databases, accessible only to IGS members. The Indiana Genealogical Society has 385 databases in the Members Only area, covering 82 Indiana counties. More databases will be added over time. I am seeking information on the birth and death of Emily Jane Martin born on August 15, 1848 in Lagrange, Indiana and died Feb.11, 1918 in Preble, Adams, Indiana. Also, any information on her parents William and Matilda Fish Martin from census records. Any help would be most appreciated. I'm looking for information on the following people. Mary Cohen Roscoe-wife of Robert, mother of Cassel. Only info I have is marriage license dated 6 May 1863 in Jackson CO. Ind. Either died or divorced prior to 1870. Moses and Matilda (Moore) Roscoe. Listed in 1850 parents of Robert Roscoe. Listed as "Rasco" in the census. McKinney) and they have a little boy named (Clarence Shipp). this event was put in numerous newspaper's. I would appreciate anything that you can tell me. I'm looking for an obituary for the following relatives. b. 1839 Republic of Ireland (county unknown)Immigrated either 1847 or 1856 per census records. Placed in Union City (1880 Census) and in Indianapolis in the 1900 and 1910 Census. Seven kids, all born in Marion Co. from 1867 to 1891.
two (adult) kids are burried at Holy Cross Cem., Indianapolis. I am hopeful that an obit. for James will give a clue as to the county in the Republic of Ireland, in which James was born. I cannot come to Indianapolis from California. I'm researching my g-g-g-grandmother's family. Her name was Hedvig Augusta Sandstrom. 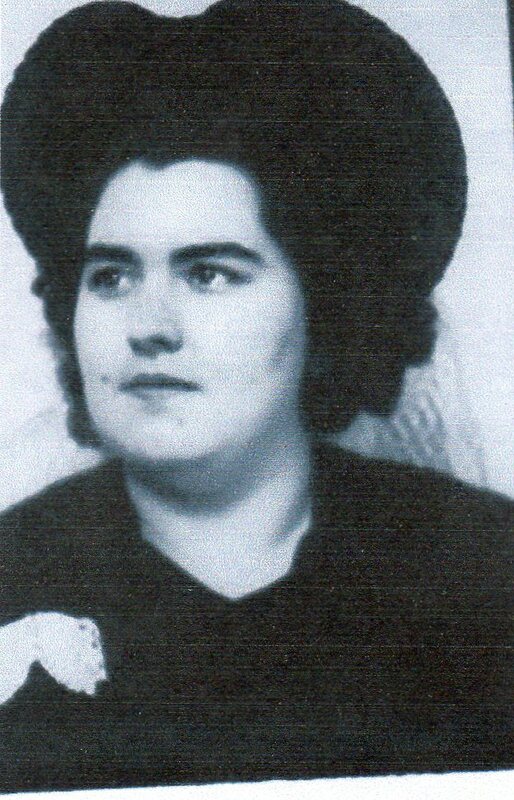 She emigrated from Sweden in 1873, with her sister, Hulda, and joined her family in Brooklyn. She had a brother, Theodore Sandstrom, who I believe emigrated in 1881. I also know that Theodore also holds Canadian patents on gears he designed. I found a Theodore Sandstrom in Marion County, Indiana in the 1900, 1910, and 1920 Censuses, (listed as Hiador Sandcarton in 1910). Is there any way to find out if this Theodore Sandstrom is *my* Theodore Sandstrom? His parents' names were August and Clara Sandstrom. Theodore's birthday was June 5, 1856. Other siblings were Olivia, William, Charles, and Alma.